Oatmeal is actually a kind of porridge. They are not the same thing because porridge is made from a variety of grains (and even vegetable and legumes). Oatmeal is made from oats. However, there are many forms of oatmeal. Whole oat groats- minimally processed but must be soaked and cooked a long time. Steel Cut oats- Small chopped groats with a firm texture. Scottish oats- The groats are ground into a meal. Rolled oats- Steamed and flattened oat groats. Oat Flour- Ground oat groats and contains no gluten. Oat bran- Oats with the outer casing removed from the groats. Oatmeal hasn’t always been highly sought after. It used to be viewed as weeds. The Europeans didn’t like them because they went rancid so quickly. They had to be processed right away after harvesting. The Romans and the Greeks saw oats as diseased wheat and fed it to their horses as feed. Despite the low popularity score of oats in the beginning, it has managed to charm the savvy and health-conscious eaters for centuries, and here’s why. Oats are packed with fiber. In fact, oats have more fiber in them than any other grain. It’s a soluble fiber that moves slowly through your body, making it feel full and satisfied longer. The fiber also helps with constipation and controlling your blood sugars. That fiber also acts as a sponge for the glucose in your body. It also curbs your bad LDL cholesterol. Oats are also great as an anti-inflammatory and are good for your skin as well. They can help heal your dry skin and ease itchy skin that you might have. Oats also act as sponges on your skin to help soften your skin, and it’s hypoallergenic, so it’s safe for your skin as well. Oats boast the best amino acid balance of all the cereal grains and are used in many skin care products such as powders, moisturizers, shampoos, and soaps. If you’re feeling hot and sticky this summer, and the thought of a hot bowl of oatmeal brings you a great deal of discomfort instead of comfort, why not try some overnight oats and strawberries and granola sprinkled on top? COOKIE+kate offers a great recipe for overnight oats. Add all of the ingredients (except the fruit) to a small jar and mix. Cover and jar and refrigerate overnight, or up to 5 days. When you’re ready to serve it, put the strawberries on top and enjoy your refreshing, satisfying and very healthy morning kick-start to your day. 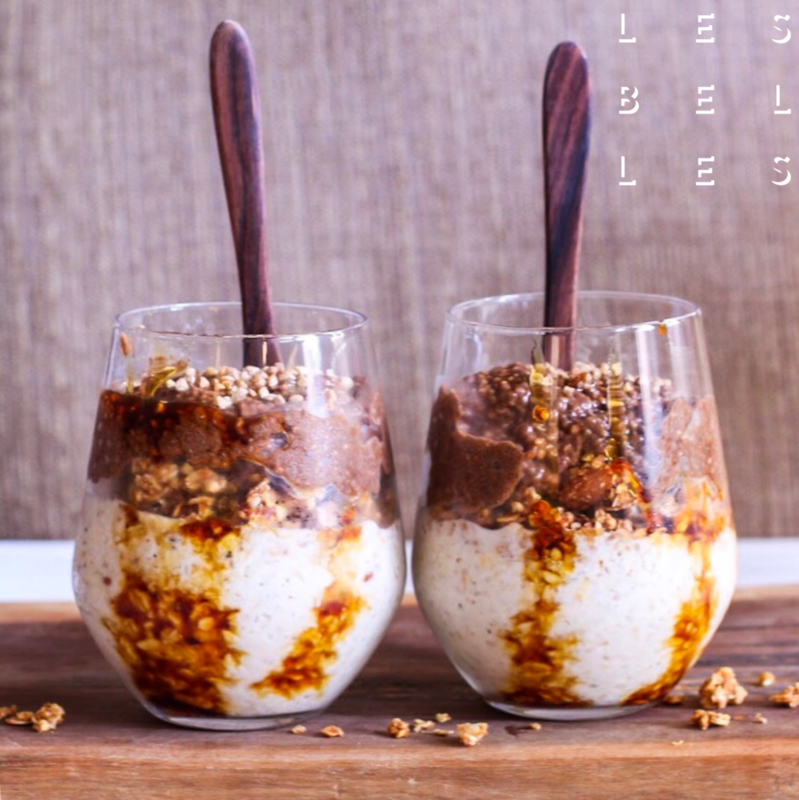 Les Belles NYC would like to encourage you to indulge and enjoy your summer oatmeal treats as you fuel your body with goodness, surround your skin with smoothness and give your palate a delicious treat! Come in and see us and tell us about your favorite oatmeal-filled treat. Come in, get comfortable, and let’s stay healthy and happy together.